By Frederic Byumvuhore in Beijing. 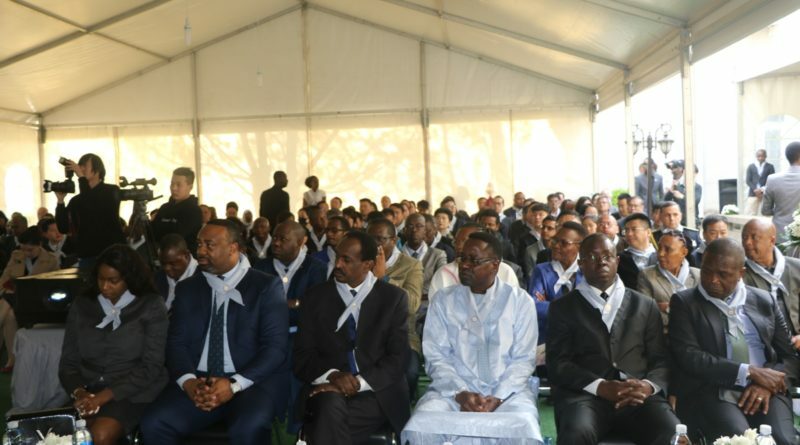 As the mourning week to mark the 25th commemoration of the 1994 Genocide against the Tutsi kicked off in Rwanda and in different parts of the world yesterday, Rwandans who live in China gathered at the Embassy of the Republic of Rwanda in Beijing to observe the event. 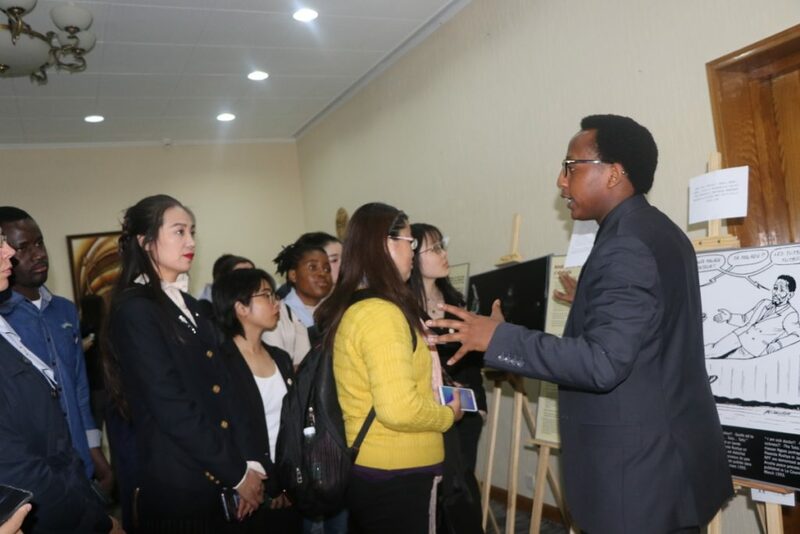 The activity brought together Rwandan community whose majority is students, representatives of the Government of the People’s Republic of China, Diplomats and resident Representatives of International organizations among others. Delivering his speech, the Dean of African Ambassadors in China, H.E Martin Mpana, the Ambassador of the Republic of Cameroon said that the 1994 genocide against the Tutsi should be a lesson to the entire world, calling the international community to stay more proactive in taking necessary measures to ensure such an incidence never happens again anywhere. “The roots of the genocide are in the colonial history as people were divided into antagonistic ethnic groups. The commemoration period is not for Rwandans only. Indeed, it is for all Humanity. 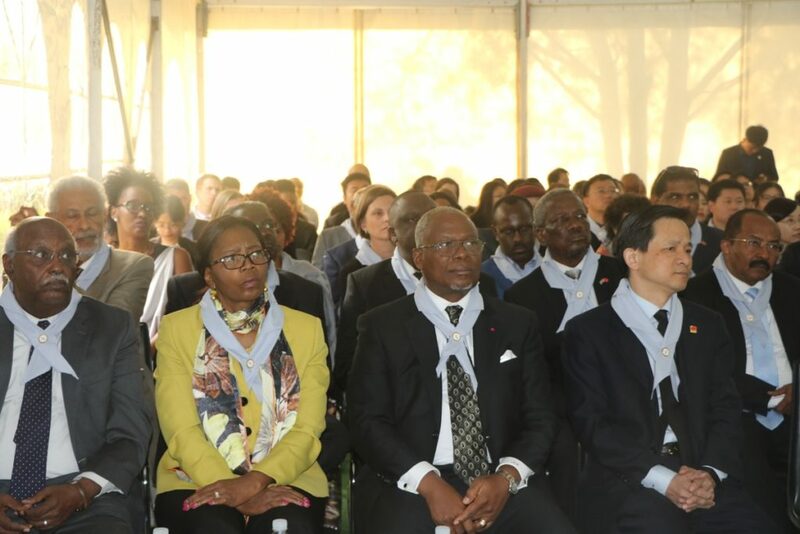 The international community failed to play their role to stop the catastrophe and the lessons from the genocide in Rwanda will continue to be helpful in detecting and preventing the similar occurrence in the world,” he observed. The ceremony marked with the exhibition of genocide archives where guests were explained on the tragedy of the terrible holocaust that decimated the lives of one million innocents in a short time of three months. During the exhibition, captioned pictures were attached on the inside walls of the Embassy’s complex for the description of the awful mass killings. 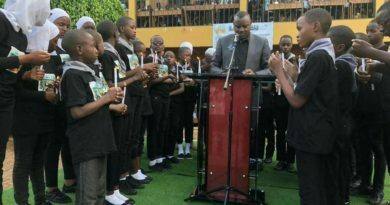 The theme for this year’s commemoration was shared to the attendees before they took a minute of silence, prayers and lighting the candles in honor of the victims. 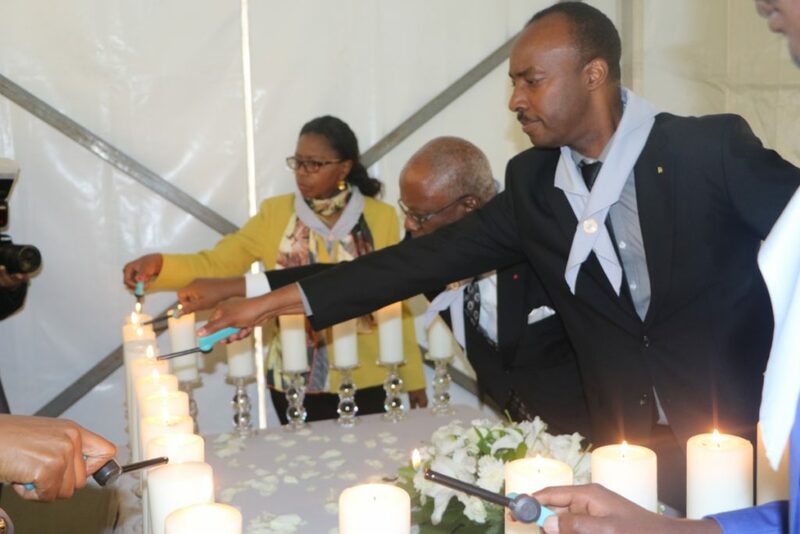 Charles Kayonga, the Ambassador of Rwanda to China leads other guests as they light the candles as the symbol of hope. Also, short documentary was screened as well as reading out the names of the victims. 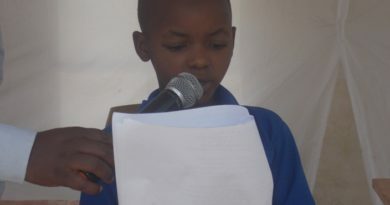 Sharing his testimony, Gilbert Kabanda who was seven years during the genocide, revealed that he came to understand the reason why he commemorates this year. “Years back, I would remember but always ask myself the reason why I remember,” he said, adding that he came to understand that he remembers because he had survived. 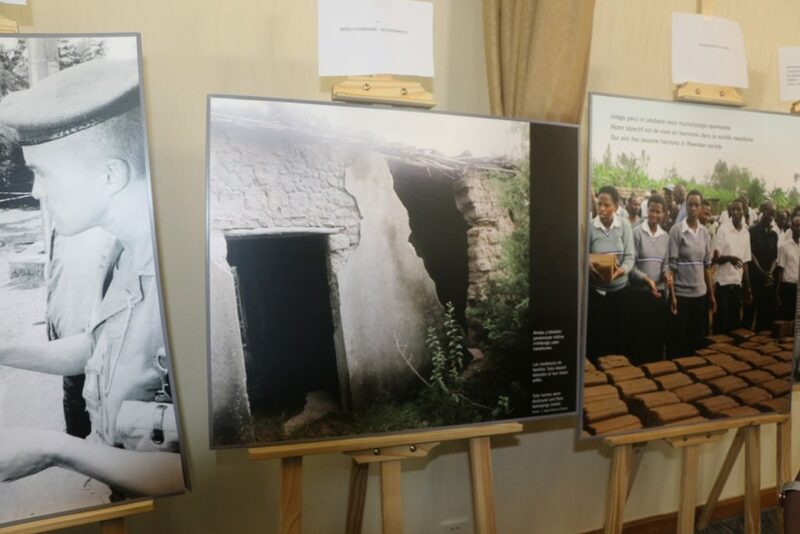 Rwandan youth explains to the guests about the 1994 genocide against the Tutsi during exhibition of genocide archives at Embassy of Rwanda in China.Frederic Byumvuhore. He shared the tragedy through which he lost some of his relatives after they had fled to their local Church for protection. 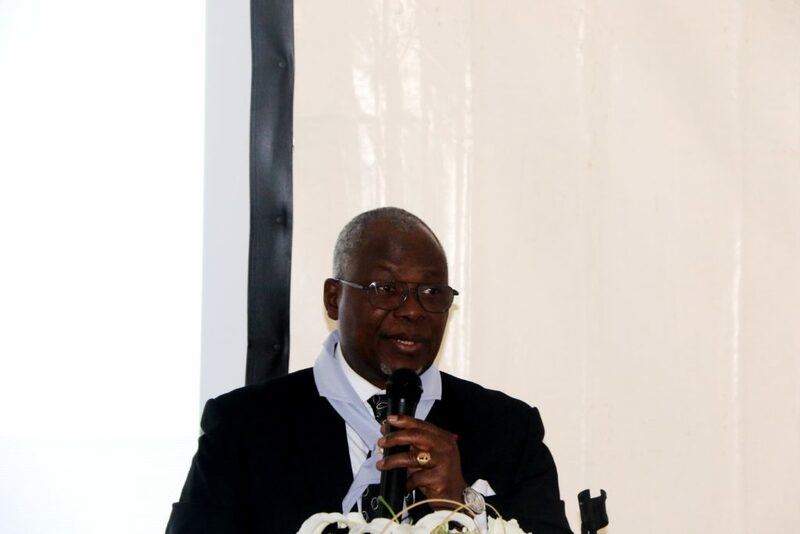 The Dean of African Ambassadors in China, H.E Martin Mpana, the Ambassador of the Republic of Cameroon delivering his speech during the event. According to Charles Kayonga, the Ambassador of Rwanda to China, as the commemoration period observed, more lectures about the topic should be delivered to all especially young generation to inspire them to renew and stay united. 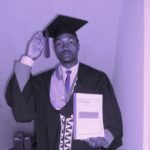 “The majority of Rwandan community in China is students. 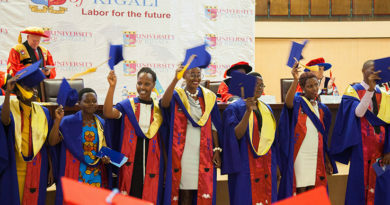 They are pursuing their studies in various parts of China but we ensure that they are at the same level with the rest of the youth in Rwanda during this period of commemoration and any other time. We do this by sharing with them the links for conversations going on in Rwanda to ensure they follow in real time. This enables them to follow all events taking place in Rwanda and stay updated. 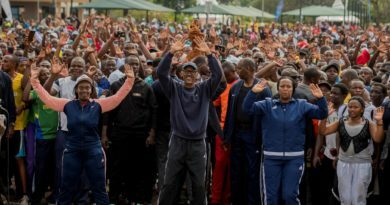 The youth are the future of the country and the ones who will ensure that Never again is Never Again.” Kayonga noted. 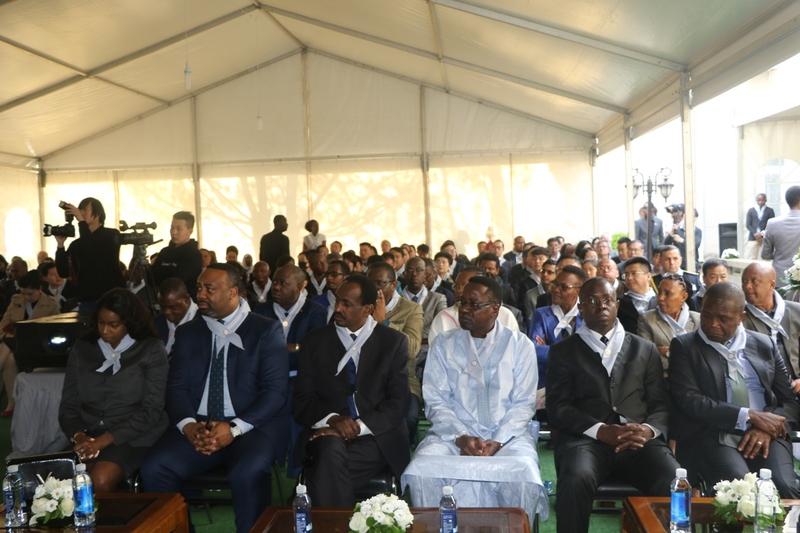 The Ambassador added that after the launch of the mourning week, Rwandans in provinces of China will keep on commemorating in their respective places at their own convenience. The attendees emotionally reacted as they were watching the screened documentary about the genocide.